Great Yarmouth Racecourse01493 842527work RacecourseThe racecourse is situated on the northern edge of Great Yarmouth only a few minutes walk from the beach and is one of a few racecourses in the country to feature a straight mile, making it an important racing venue in both the trainer's and spectator's calendars. 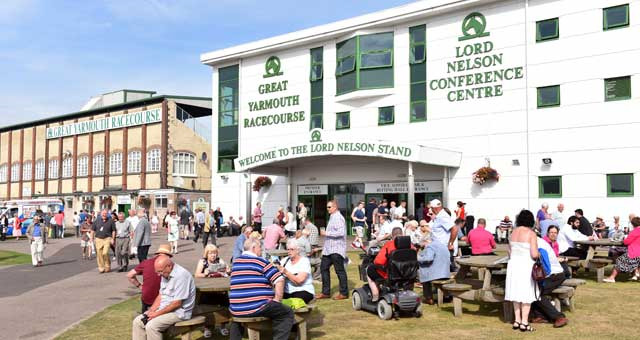 The racecourse is situated on the northern edge of Great Yarmouth only a few minutes walk from the beach and is one of a few racecourses in the country to feature a straight mile, making it an important racing venue in both the trainer's and spectator's calendars. In 2019 we are set to host 23 thrilling fixtures of flat racing from April through to October. 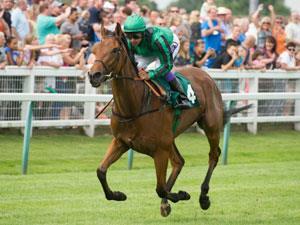 There will be themed race days to include Ladies Night on Wednesday 17 July, two music live nights on 7 & 15 August, Bank Holiday Family Fun Day on Sunday 25 August and the prestigious three-day Eastern Festival on 17-19 September. Facility open all year. Horseracing from 23 April to 22 October 2019.